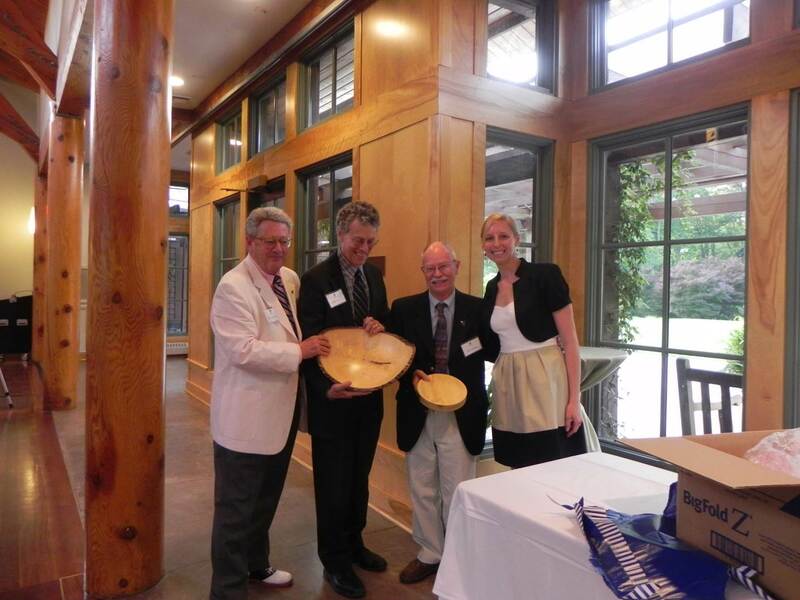 Chris’ large natural edge Ash piece, 18″ x 12″, with base was presented to Mr. Judson Edeburn, Director at Duke Forest, in honor of his 36 years of service to Duke Forest. Here Mr. Edeburn is pictured at his retirement dinner May 21, 2014. Chris secured this beautiful Ash wood from a downed tree located on the Duke Forest Hillsboro Division site with the assistance of Michael Burke. 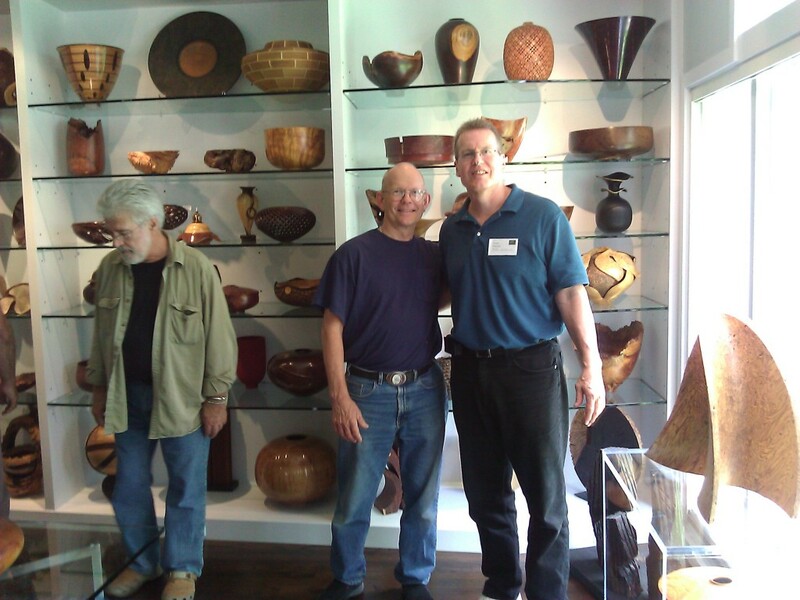 Chris Boerner with Michael Mode at The Waterbury Collection event held at Ruth and David Waterbury’s house for the release of their book, “Conversations with Wood”. Chris took a class with Michael in 1991 at Arrowmont School of Art, where he learned the technique of applying “French Polish”. Chris Boerner with Ron Kent and Derek Bencomo at Ruth and David Waterbury’s house in Minneapolis for the release of there book, “Conversations with Wood”. 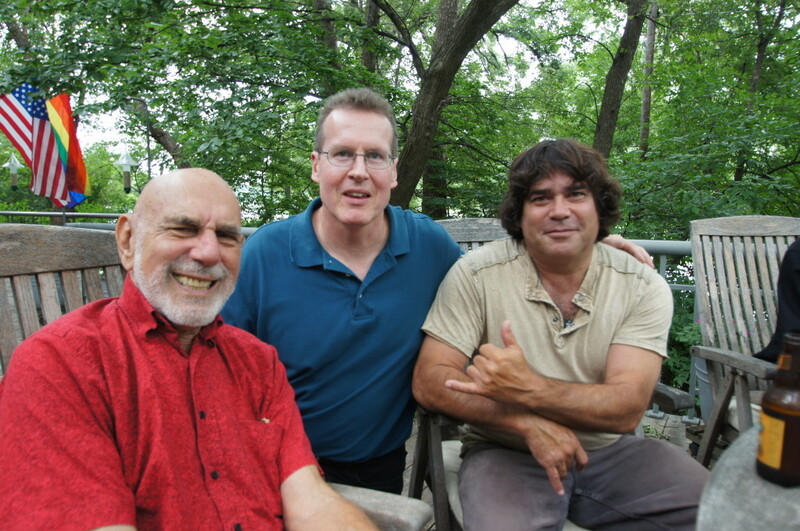 This coincided with the AAW Symposium. 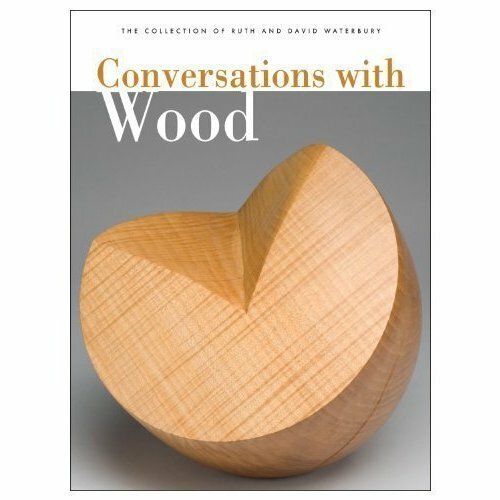 Chris’ work is featured on pages 62 and 63 of this collector’s book produced by Ruth and David Waterbury to document their extensive collection of woodturnings. 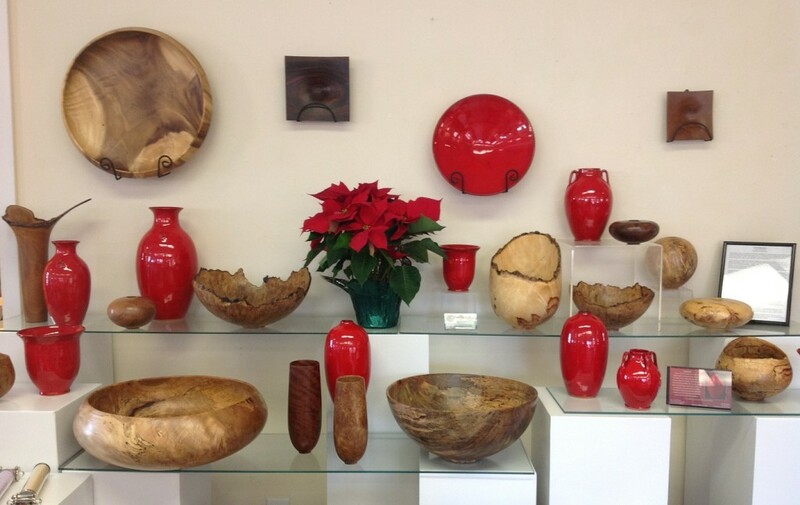 Included is a 22-1/2″ diameter Redwood Burl Platter from 1995, 8-1/2″ Lychee Natural Edge Open Vessel from 1995, 10″ tall Curly Koa Bowl from 1996, and a 5-1/4″ Box Elder Burl Natural Edge Vessel from 1994. This book is available through the Minneapolis Institute of Art, and features work from a total of 130 artists. 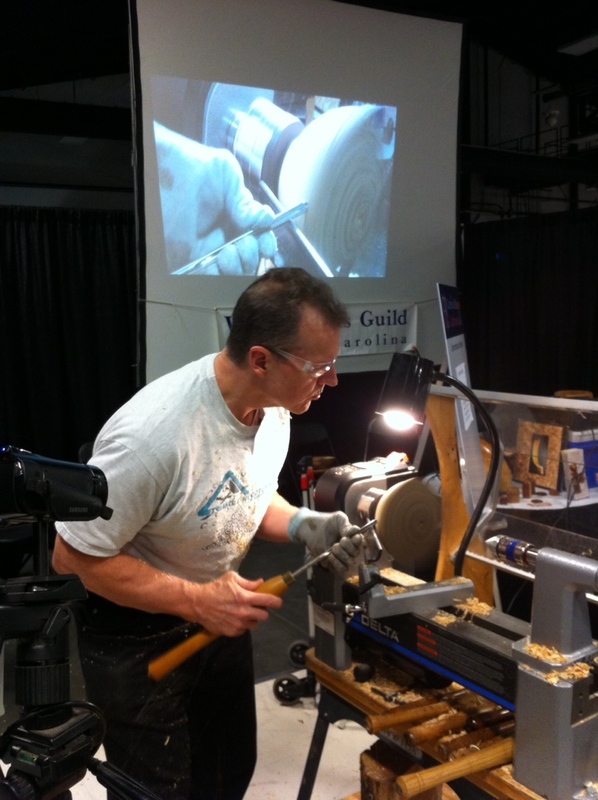 This is Greenhill’s 40th Anniversary Winter Show, celebrating 40 years of Art in North Carolina. 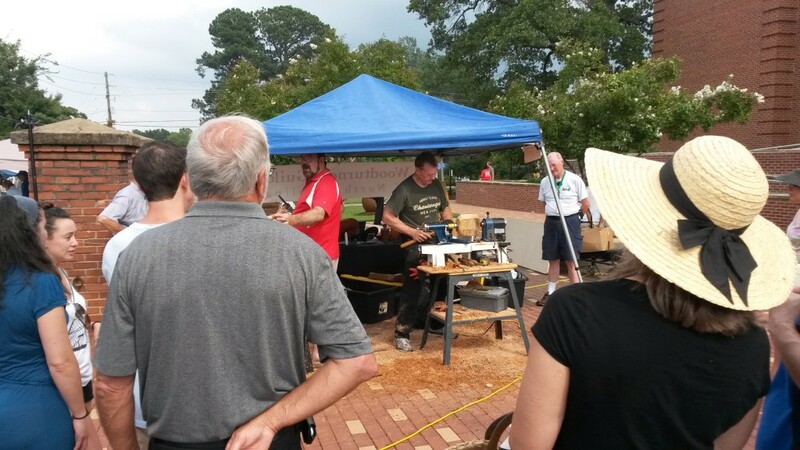 Chris was invited to display 4 major woodturning pieces for this event. Curated by Edie Carpenter, Winter Show brings together over 120 artists each year from across North Carolina. A comprehensive survey of the finest art and crafts, the show represents a mix of mediums including painting, sculpture, photography, ceramic, jewelry, woodwork, fabric and fiber works, all within a harmonious installation. Artists showing work in the exhibition vary not only by mediums, but also by experience, background and perspective. To commemorate Greenhill’s 40th anniversary, Greenhill will present works from 40 new artists, 40 artists who have been in Winter Show in the past 10 years, and 40 artists from the first 30 years. The public is invited to view a carefully curated selection of works from emerging and returning North Carolina artists in The Gallery at Greenhill. With over 500 works all available for sale, The Gallery at Greenhill is free and open to the public. Copyright © 2019 - Chris Boerner. All rights reserved.